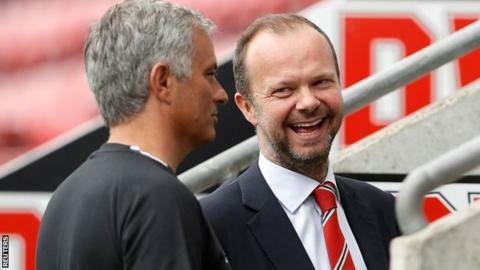 Jose Mourinho says he will not be talking about his departure from Manchester United out of the “deepest respect” for his former colleagues. The Portuguese was sacked on Tuesday after two and a half years in charge. United are sixth in the Premier League, 19 points behind leaders Liverpool. “I have been immensely proud to wear the badge of Manchester United since the first day I arrived, and I believe all United fans recognise this,” Mourinho said in a statement. Former United striker Ole Gunnar Solskjaer was named the club’s caretaker manager until the end of the season on Wednesday. Mourinho has returned to his home in London, and the former Chelsea and Real Madrid boss has also asked the media to respect his privacy before he returns to football. Speaking to Sky Sports News earlier on Wednesday, he said: “I was always very critical of managers that leave clubs and then they come out and they speak about the details of what happened, who is to blame. “I could speak about the not so good, but that’s not me. “Until I get back to football I feel I have the right to live my normal life. I have been immensely proud to wear the badge of Manchester United since the first day I arrived, and I believe all United supporters recognise this. Just as was the case with my previous clubs, I have worked with some wonderful people and I believe that some will be my friends for life. I know that you are all aware of my professional principles. Each time a chapter is closed I show my deepest respect and I don’t make any comments about my former colleagues. I hope the media will also respect my position and let me live my normal life until the moment I decide to return to football.